Big profile for the legendary BMW 328: This successful model will be represented with twelve cars at the start of the Mille Miglia 2012. Alongside series versions, there will be a number of racing cars competing in the lightning trip from Brescia to Rome. The Bavarian fleet of cars will be led by the BMW 328 Touring Coupé, the winning car in 1940. Behind the wheel will be Dr. Herbert Diess, Member of the Board of Management of BMW AG responsible for development. “The BMW 328 set benchmarks for lightweight construction and vehicle aerodynamics. This car laid the foundation stone for our success today in this area,” commented Diess. Diess will be joined on the starting grid by Ian Robertson, Member of the Board of Management of BMW AG, responsible for sales and marketing at BMW: “A track record of numerous racing victories made the BMW 328 one of the most successful sports cars of its time at the close of the 1930s. Today, this car still epitomises the character of the BMW brand,” says Robertson. The Touring Roadster is also represented at the Italian heritage race alongside the Touring Coupé. The BMW 328 Kamm Coupé celebrated its comeback to the modern Mille Miglia two years ago and is starting outside the placings. 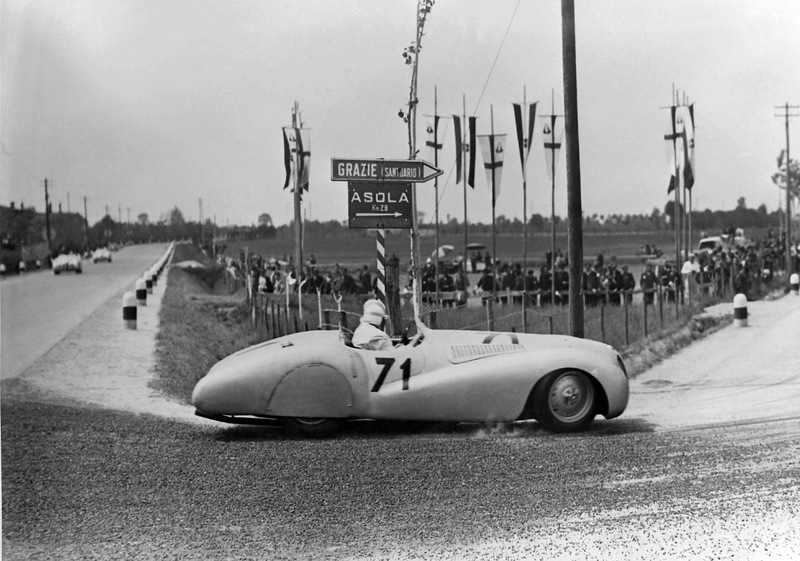 The Mille Miglia and BMW share a long tradition. On 28 April 1940, BMW celebrated its biggest racing success up to that point with the BMW 238 Touring Coupé and at the “I. Gran Premio Brescia delle Mille Miglia”.